Patricia is the founder and Director of the Responsible Sourcing Network, which she started as a project of As You Sow in 2010. Currently she sits on advisory committees for the Cotton Campaign, ICCR’s Human Rights/Human Trafficking Leadership Group, Know the Chain, and the Conflict Free Smelter Program. Patricia started managing the Human Rights department inside As You Sow’s Corporate Social Responsibility Program in 2006. In that role she led the Human Rights Program to tackle labor abuses at the factory level, and she began ground-breaking work addressing forced labor and extortion at the commodity level of supply chains. Preceding As You Sow, Patricia was at the Institute for Agriculture and Trade Policy (IATP) directing the Global Cooperation Project, and at Gap, Inc., where she spearheaded a rewrite of the company’s Vendor Handbook. She has past work experience with natural dyes, Latino political outreach, and women’s craft cooperatives in Latin America. Patricia has an International MBA from Thunderbird School of Global Management and undergraduate degrees from Cornell University and the Fashion Institute of Technology. Mairin started at Responsible Sourcing Network as an intern. She is now working full time on the YESS standard and the Cotton Pledges. 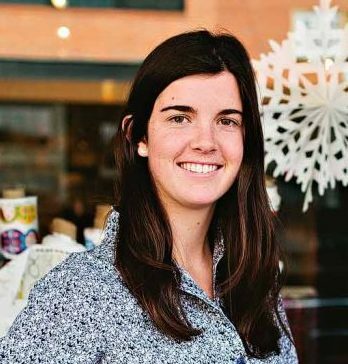 She is a recent graduate of Middlebury College, where she majored in environmental studies and chemistry and minored in geography. Her senior research focused on the supply chain of cotton garments, and she is interested in working to create ethical and sustainable changes in the cotton industry. Prior to working at RSN, she worked at numerous non-profits in her home state of Montana. Betsy brings her prior experience in the operations and management areas of financial and arts entities to RSN, where she oversees the day-to-day workings. She also provides data management and grant support to the organization, working closely with the Development and Communications teams. She earned her BBA from Southern Methodist University with an emphasis in human resources management. She studied for her Master’s in Music Education at Teacher’s College Columbia and was active in the music education field for many years prior to her re-entry into the operations area of the work place. Sharon Cho, Office Manager of RSN, sees her position as the grease that keeps all the other positions running smoothly. To do that, she juggles HR, payroll, book-keeping, calendaring, IT, office equipment & supplies, and all the other small and big tasks that fall between the cracks. Sharon brings with her, 25 years of Management experience - Office Management, Account Management, and Client Management from various industries including Employee Benefits and Artist Representation – as well as a degree in Communications from U.S.C. Sarah is responsible for attracting the funds that allow As You Sow and RSN to deliver on their missions and create change. Previously, she was head of Development at Chabot Space & Science Center, and served as a Senior Consultant to the Sierra Club’s Beyond Oil Campaign. She has written reports on tar sands, carbon financing for the Big Sur Land Trust, and on REDD+ carbon offset baseline issues. Before pivoting to the environment and climate change, she was Director of Marketing at a venture-funded tech start-up, and worked in financial analysis, marketing and product management at Chevron and Ampex. She holds a BA from U.C. Berkeley; an MBA from Cornell; and a graduate certificate in Environmental Policy from the Middlebury Institute of International Studies at Monterey. Jill Courtenay is a data enthusiast and As You Sow’s Communications Project Manager. From strategy to outreach, Jill is managing and measuring the success of project launches, communications, and social media impact. She is growing partnerships for the organization and overseeing all 3rdparty support teams. Jill founded a strategic partnering company and has led many international projects including the first “green” construction in the Middle East, a nanotechnology from India, and an artificial intelligence technology from Australia. She has an Advanced Certification in Data Visualization from the University of Washington, an MBA from the University of Barcelona, and a BA in International Business Relations from Claremont Colleges.